Daspletosaurus was the apex predator living in western north America between 80 and 73 million years ago. 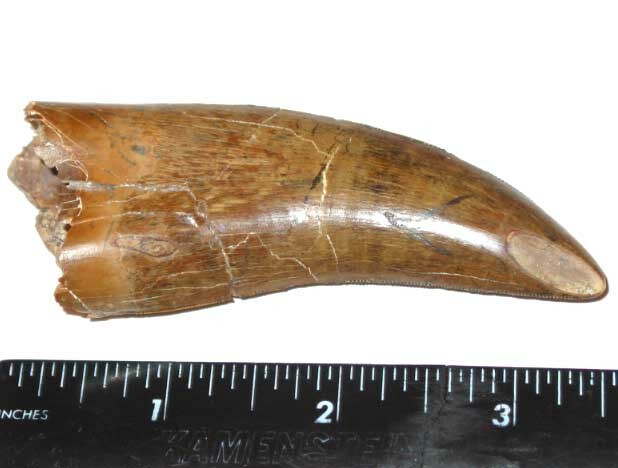 This is a HUGE, Museum Quality Daspletosaurus lateral tooth, measuring an incredible 3.663 inches in length (straight line measurement)! 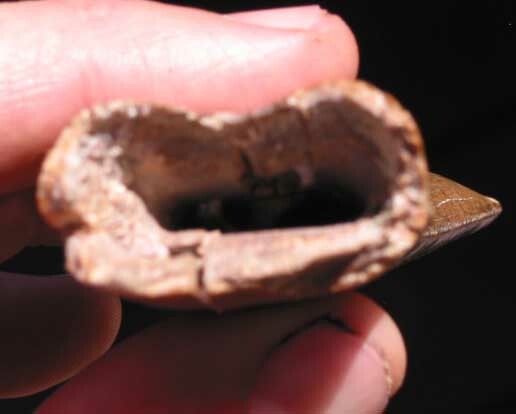 It has superb enamel and lovely rich brown coloration. 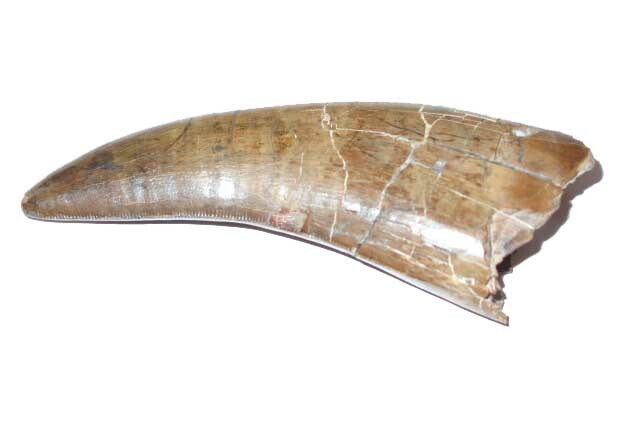 Serrations are present on both the anterior and posterior edges of this tooth, and other than having a few cracks stabilized, it has had no restoration or repair. 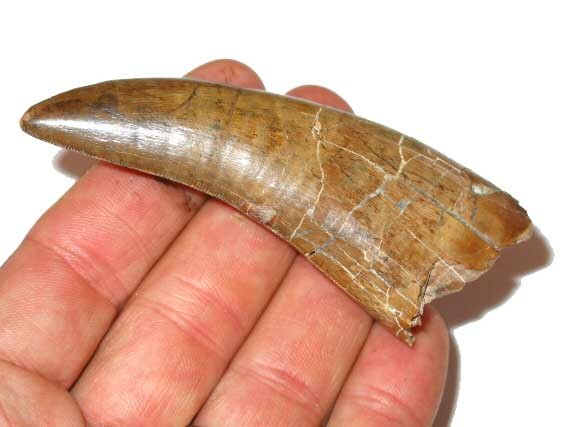 This is a massive specimen and is probably the largest Daspletosaurus tooth you will find for sale! 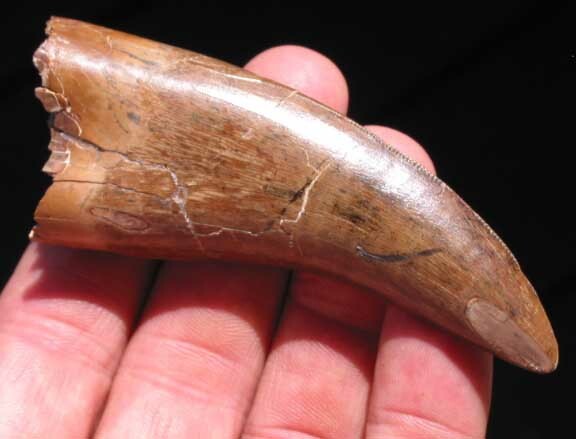 This specimen was found in the Judith River formation of Montana on private land with the owner's permission. 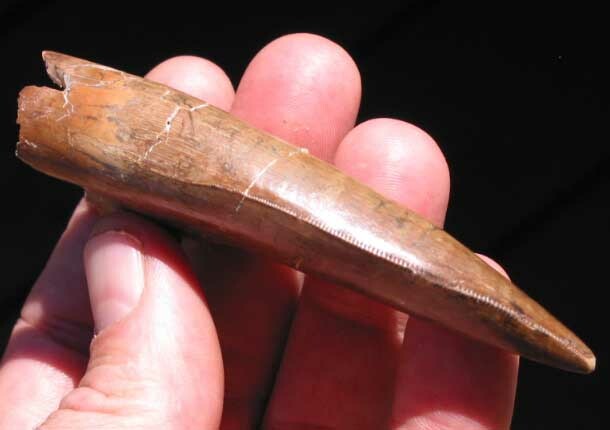 It even has a small amount of wear on one side of the tip, where the Daspletosaurus wore the tooth eating its prey. 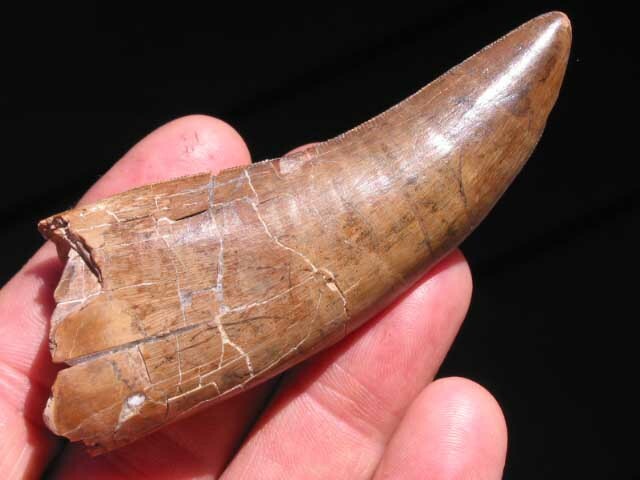 This tooth is a superb specimen and is one of the largest specimens you are likely to find. 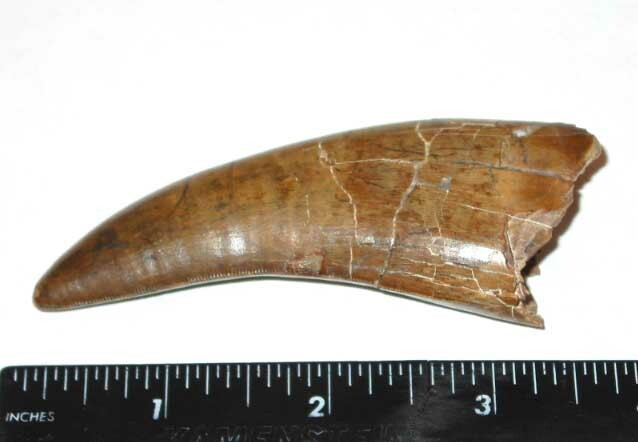 You will be hard pressed to find a better example of an authentic ~75 million year old North American Daspletosaurus tooth. 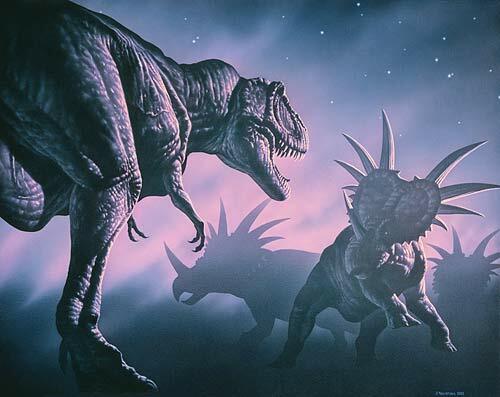 Special Thanks to Joe Tucciarone for allowing us to use an image of his wonderful Copyrighted Painting "Daspletosaurus vs Styracosaurus".